This page under kunstukshun! Come back for more soon. 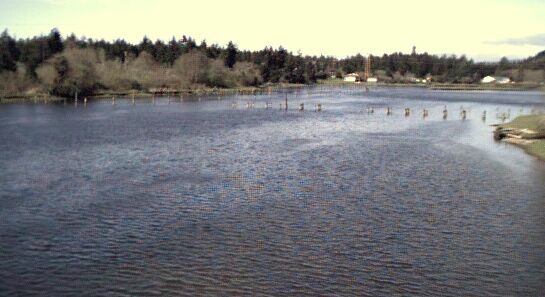 This image is looking east up the Siuslaw river a ways past the 126 bridge. 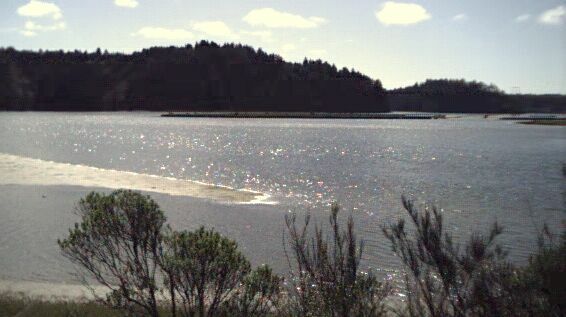 These next two images are looking west, downstream the Siuslaw River at high and low tide. 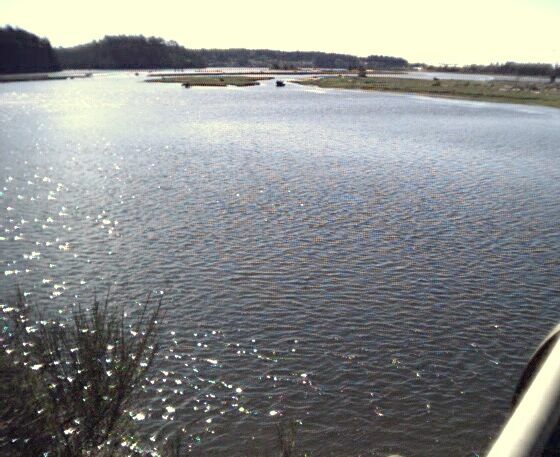 Up the Northfork of the Siuslaw from the 126 Bridge. Up the northfork before you get to Condon creek is Bubba's Tennis Emporium! 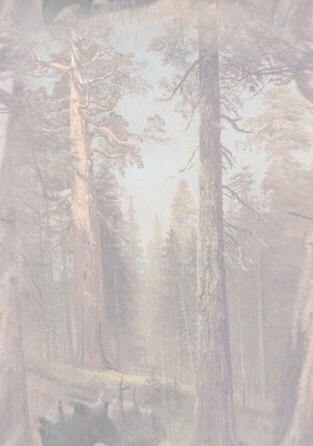 One can only imagine they fenced in the tennis court to keep the animals in the trailer from soiling the paved surface. 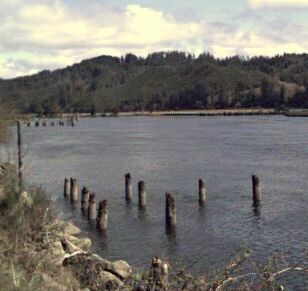 Looking west downstream on the Siuslaw river near Cushman. 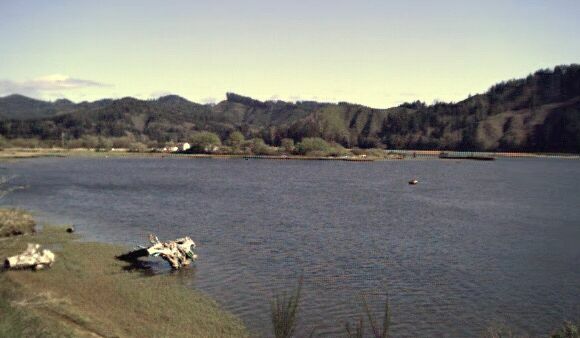 Looking east toward Cushman upstream on the Siuslaw river. 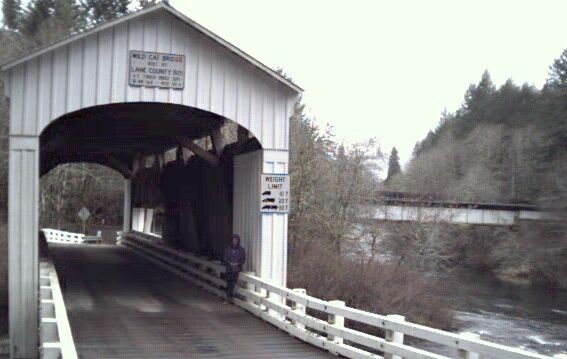 It was gently sprinkling on the way home when we came across this lovely covered bridge, it's on 126 between Eugene and Florence and it crosses over Wild Cat Creek, right where it runs into the Siuslaw river. There were plenty of fisherman right downstream a bit and we ran out of film. Myrna looks good standing in there out of the rain, her Momma "didn't raise no dummy" she says!